Advancing Taiwan’s biomedical and pharmaceutical sectors while realizing the World Health Organization’s major objective of Health For All is a top priority for the government of Taiwan. 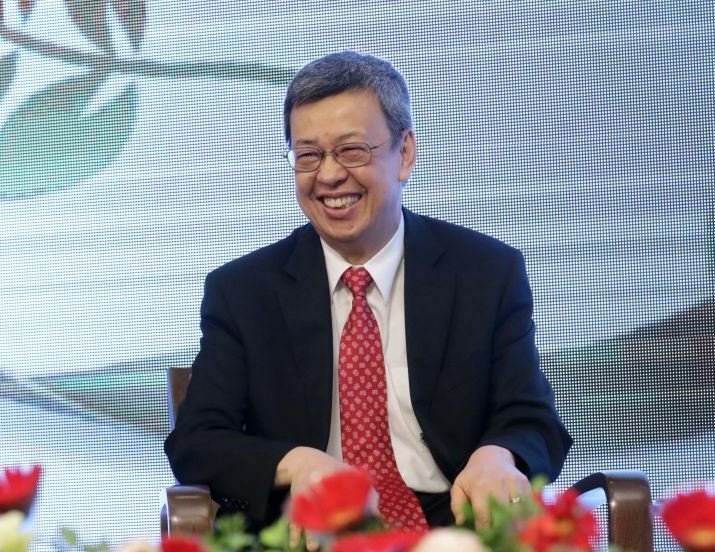 Biomedicine is a key component of the five-plus-two innovative industries initiative, Vice President Chen Chien-jen said April 1. Promotional efforts focus on building the necessary infrastructure for industry development and strengthening Taiwan’s related regulations, he added. A key plank in the government’s national development strategy, the initiative also targets the high-growth sectors of green energy, national defense, smart machinery and Internet of Things, as well as two core concepts: the circular economy and a new paradigm for agricultural development. Chen made the remarks while receiving Carl-Henrik Heldin, chairman of the board of the Nobel Foundation, at the Presidential Office in Taipei City. The Swedish scholar is in country for the 2nd International Symposium on TGF-β in Cancer. Co-organized by the Taiwan Research-based Biopharmaceutical Manufacturers Association, the one-day annual event is taking place at National Biotechnology Research Park in Taipei’s Nangang District. It serves as a world-class platform for sharing experiences and ideas, as well promoting key developments in fields relating to the role of TGF-β, or transforming growth factor beta, in cancer prevention and therapy. According to Chen, an important measure contributing to the development of Taiwan’s biomedical and pharmaceutical sectors is the establishment of the Taiwan Clinical Trail Consortium. Comprising 12 medical centers around Taiwan, the initiative positions the country to maintain leadership in clinical trials and promote more international cooperation and exchanges. At the same time, Chen said, several research centers and industrial clusters have been created to foster business and technology activity. He cited NBRP and Hsinchu Biomedical Science Park in northern Taiwan, as well as two clusters in central and southern Taiwan specializing in medical equipment and supplies. Another accomplishment is Taiwan’s ascension to the International Council for Harmonization of Technical Requirements for Pharmaceuticals for Human Use in June 2018, Chen said, adding that this confirms the success of government efforts to bring Taiwan’s laws more in line with global standards.